When I think of Sam’s Club, I tend to look back fondly on my middle school/high school gaming habits. With the plethora of $13 games I added to my collection, I experienced some of the best low sellers of that period. One of those titles was P.N. 03 – a futuristic character-action game from Shinji Mikami. It was set in a clean science-fiction environment, looked stunning, but played tepidly. Much of the game is lost to me now, but I do remember it being poorly received. In fact, I remember not being that big of a fan, although I played through the entirety of it, and played more to unlock additional costumes for Vanessa Z. Schneider. I’m willing to pop it in again, but I’m afraid I’ll be greeted with stilted combat that hasn’t aged well. P.N. 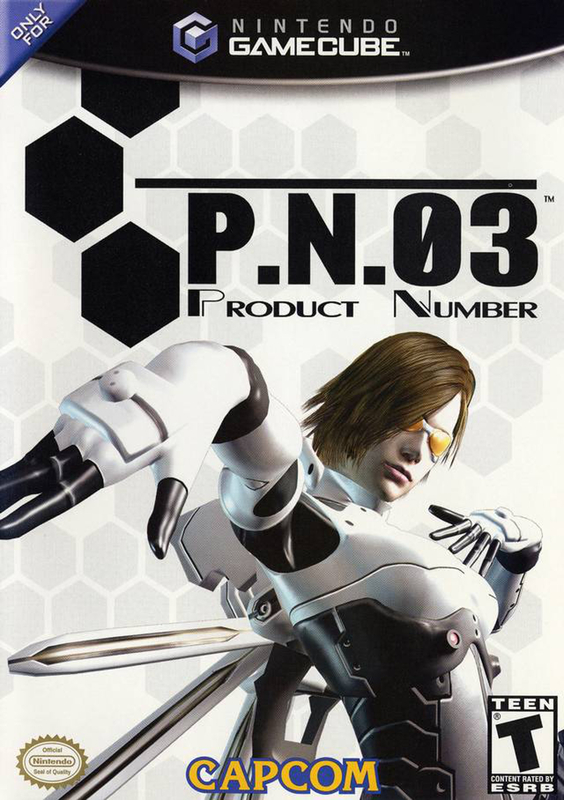 03 was developed by Capcom Production Studio 4, and naturally, published by Capcom. It was spearheaded by Shinji Mikami and was one of the “Capcom Five.” In fact, this was the sole game of the lot that remained exclusive to the GameCube. Thankfully, this game turned out to be more of a testing ground for Mikami’s ideas; ideas that went on to create the brilliant Vanquish. P.N. 03 was originally released in Japan on March 27, 2003 and was released in North America on September 9, 2003.